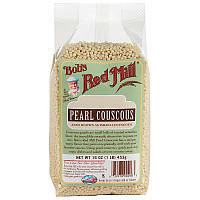 Couscous pearls are small balls of toasted semolina flour. An incredibly versatile alternative to pasta or rice, Bob's Red Mill Pearl Couscous has a unique nutty flavor that pairs exceptionally well with your favorite sauce. Using pearl couscous, quick and easy main dishes and salads are just minutes away. Bob's Red Mill is the most unique flour mill in the Northwest. We use century old stone grinding equipment to freshly mil whole grain products. Delight your family with whole grain goodness. 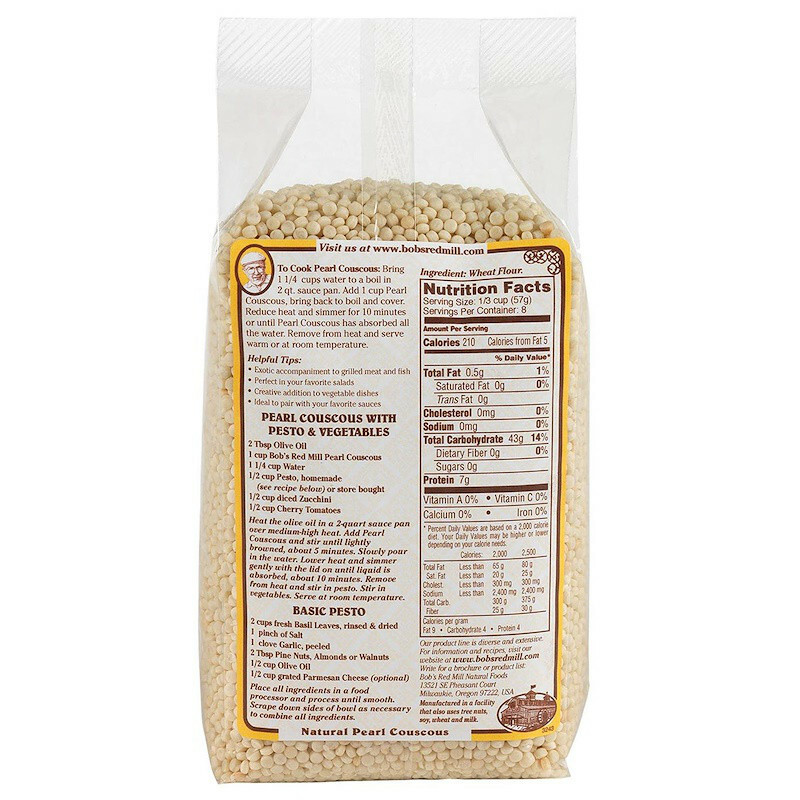 To Cook Pearl Couscous: Bring 1 1/4 water to a boil in 2 qt sauce pan. Add 1 cup Pearl Couscous, bring back to boil and cover. Reduce heat and simmer for 10 minutes or until Pearl Couscous has absorbed all the water. Remove from heat and serve warm or at room temperature.